Retrievable Bridge Plug 5" x 10000psi Working Pressure Retrievable Bridge Plug - 5"
The Model 3L Retrievable bridge plug is a Halliburton type RBP, the bridge plugs are applied for oil & gas well testing, fracking, completion service. The 7" Mechanical Setting Retrievable Packers with double grips are used for the well completion service, and the packers are conformed with API spec. 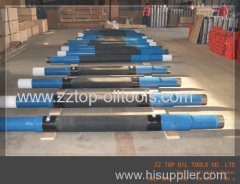 Well Completion Dissolvable Bridge Plug 5 1/2" Dissolvable plug - 5 1/2"
The dissolvable bridge plug is applied for oil & gas well fracturing and completion operation, the soluble bridge plug conformed with NACE MR 0175. 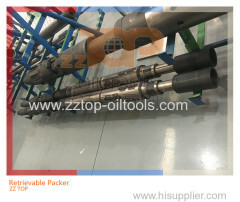 7" x 2 7/8" x 7.5K Hydraulic set retrievable packer for well completion Hydraulic packer -7"
The 7" x 2 7/8" Hydraulic set retrievable packer conformed with API specification, is applied for well completion operation in oil and gas well. 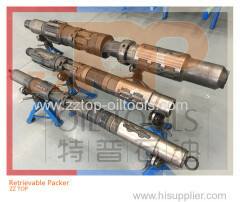 Conventional injection-pressure-operated gas lift valves Gas lift valve - 1.5"
5 1/2" x 7500 psi Hydraulic set retrievable packer Packer 5 1/2"
The 5 1/2" x 5000psi well completion Subsurface Safety Valve is used for oil and gas completion tools, the high pressure can be 10000 psi as per API. The Tubing Retrievable Subsurface Safety Valve is used for oil and gas well completion, the subsurface safety valve is conformed with API Spec. 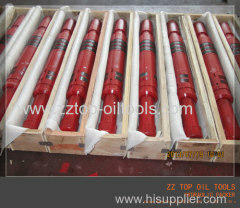 The single well control system is applied to control the surface or subsurface safety valve in oil and gas well completion operation. The mechanical setting retrievable packer is manufactured as per API 11D for the well completion in high quality with competitive price. The leakage proof valve is the completion tools that is designed to prevent the oil reservoir from being polluted during the well test. 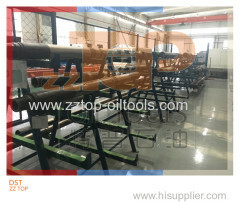 ZZ TOP supply the mechanical setting retrievable packer for the well completion in different model suitable for various well completion operation. 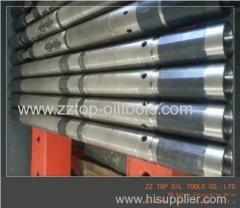 ZZ TOP supply the mechanical setting retrievable packer for the well completion in high quality with competitive price. API 11D Single string production packer hydraulic set used for casing size from 5 1/2" to 9 /8", High working pressure set available when request. Single string production packer is the hydraulic set packer used in production well.It adopt mode of lifting string to release. Sliding Sleeve is a tool which allow communication between the tubing and annulus for circulation or selective-zone production. Subsurface Safety Valve is a tubing retrievable safety valve. A control line is connected with the safety valve and to the surface. 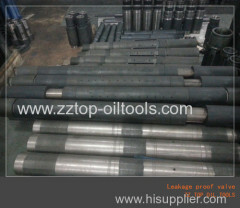 Group of Oil well completion tools has been presented above, want more	Oil well completion tools and Oilfield Well completion tools, production tools, Please Contact Us.